Udelv, a 2018 startup that employs self-drive (autonomous) vehicles for business purposes just announced a partnership. They are combining with Walmart for grocery delivery. Udelv’s distinctive creamsicle-colored vans have delivered groceries in select locations for almost a year. Udelv first inked a deal with Draeger’s markets in the Bay Area, adding Oklahoma City to its delivery repertoire later. Udelv claims 1,200 successful deliveries and plans to deploy 80-100 vans this year. Soon, consumers can expect to receive their Walmart order from a self-drive vehicle. This is not Walmart’s first go at autonomous delivery. Just last year, the big-box giant aligned with Ford, creating a fledgling autonomous delivery partnership. Ford works with Postmates and Domino’s, as well. Udelv also works with Baidu on Apollo 3.5 platform that is in the news recently. Baidu introduced Apollo 3.5 two years ago, under the belief that multiple companies that work together on a shared open-source software platform can advance autonomous-drive tech much more quickly than any single entity can while working by itself. The company chose “Apollo” in to honor the lunar program successfully managed by NASA. Baidu considers the self-drive movement a comparable tech challenge to the lunar effort from the 1960s. Udelv intends to employ Apollo as its basic point for new algorithms that will run “Newton,” which is the company’s delivery vehicle. Udelv’s foray into autonomous delivery rides is just a part of the autonomous story making news right now. GM’s Cruise department recently signed San Francisco-based DoorDash, and recent startup Nuro is delivering groceries in Arizona through the Kroger chain. Toyota is rolling out the e-Palette, which is a boxy autonomous vehicle that carries either cargo or passengers. Delivery services are proving to be an easier route toward mass usage of self-drive cars than ride-hailing. That’s because delivery services provide companies the option of deploying a fleet of autonomous vehicles without convincing the public to ride inside them. 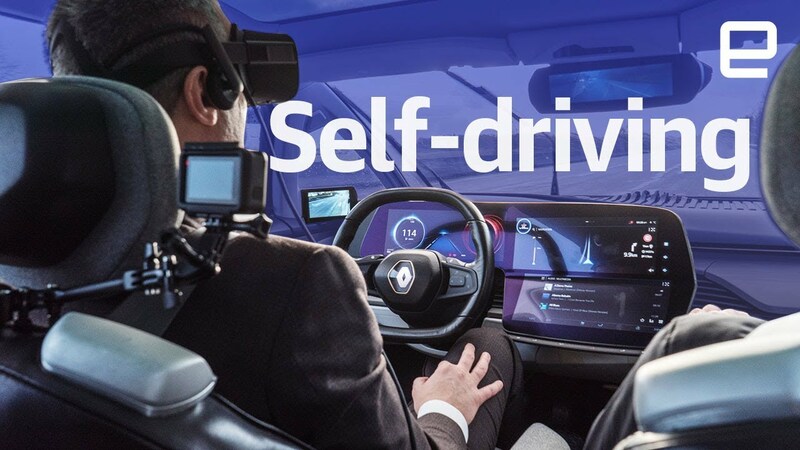 Therefore, companies can operate the self-drive cars, deriving profit from them, regardless of the general attitude toward self-drive as a concept. Triple-A of Northern California, Nevada, and Utah bought GoMentum Station from the Contra Costa County Transportation Authority. It’s the most-used autonomous vehicle testing facility in the country. AAA plans to leverage its clout and expertise as the nation’s foremost transportation advocate to add to what CCTA has started at GoMentum, ensuring safety is the Number One priority in the development of autonomous vehicle tech. The CCTA continues to be a player in the test site’s operational framework, carrying on its task of supervising the testing of autonomous vehicles on public streets and in the presence of driver-piloted cars and trucks. The west coast AAA chapter intends to continue its expansion of the AV testing projects already underway. These include everything from self-driving personal cars to mass transit shuttle vehicles. In February, GoMentum will debut a signal lab that can test AV infrastructure and roadside connectivity equipment. If the tests go well, the signal lab can aid cities in testing a number of dedicated communications technologies. The belief is, with Triple-A in charge, additional resources will come available for GoMentum Station. Whether this turns out to be true, or not, is something Gildshire will watch in the days to come.